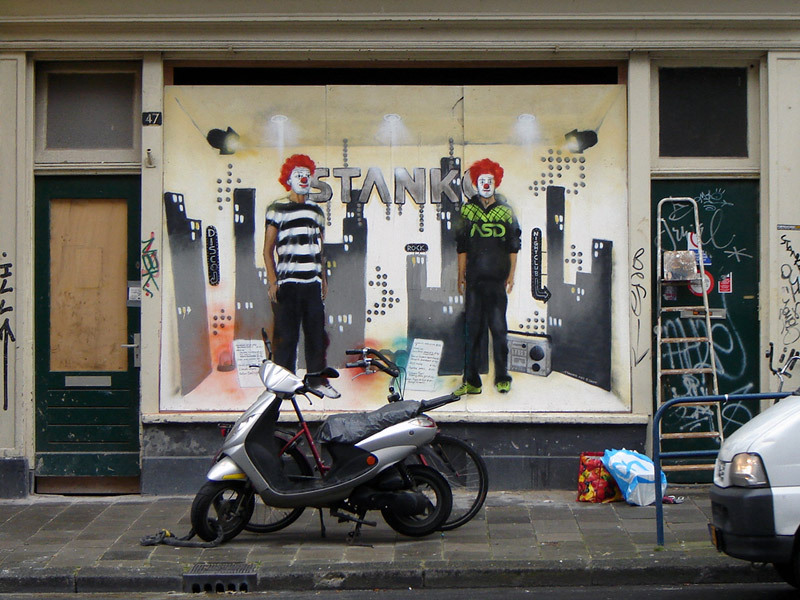 The Stanko project was a street project initiated in 2007. 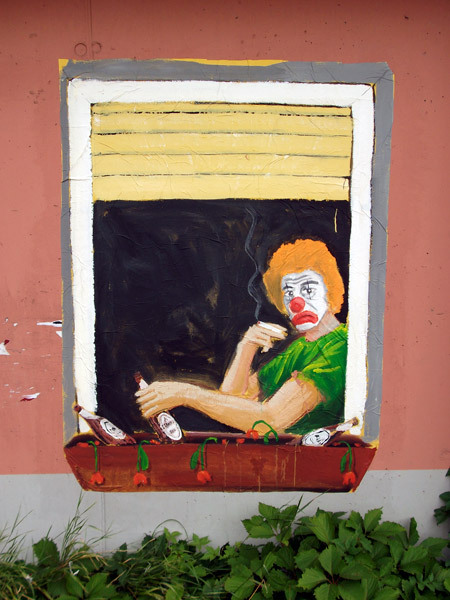 Stanko is the name of the main character, a clown. 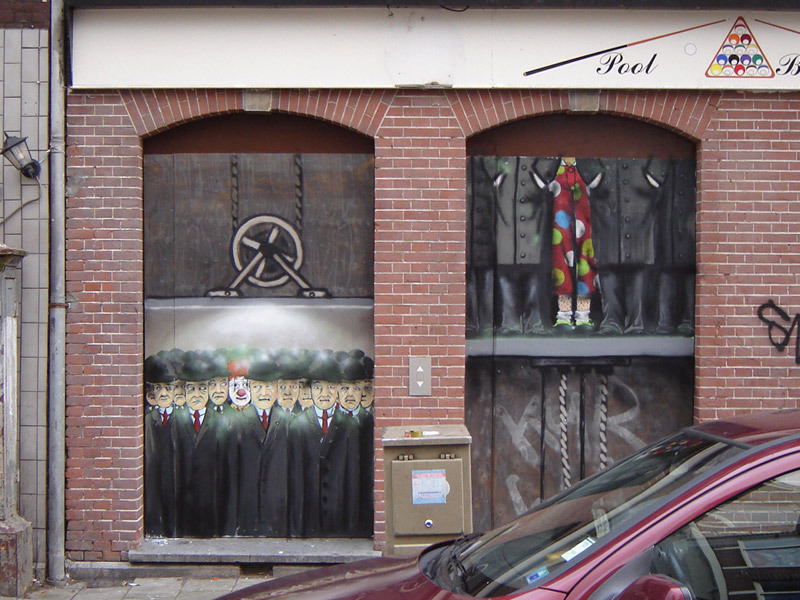 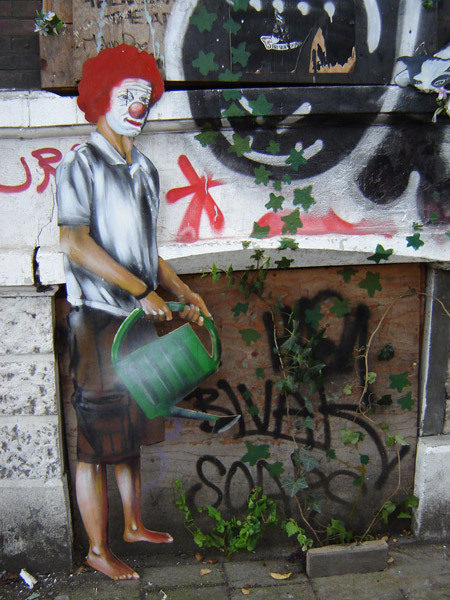 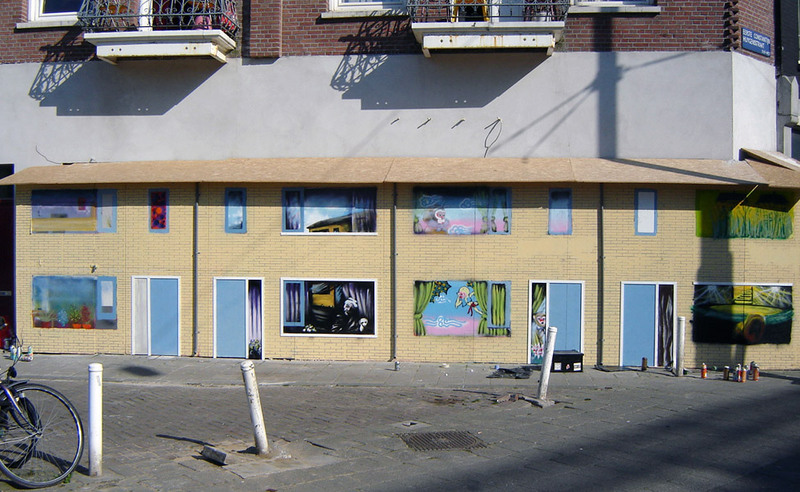 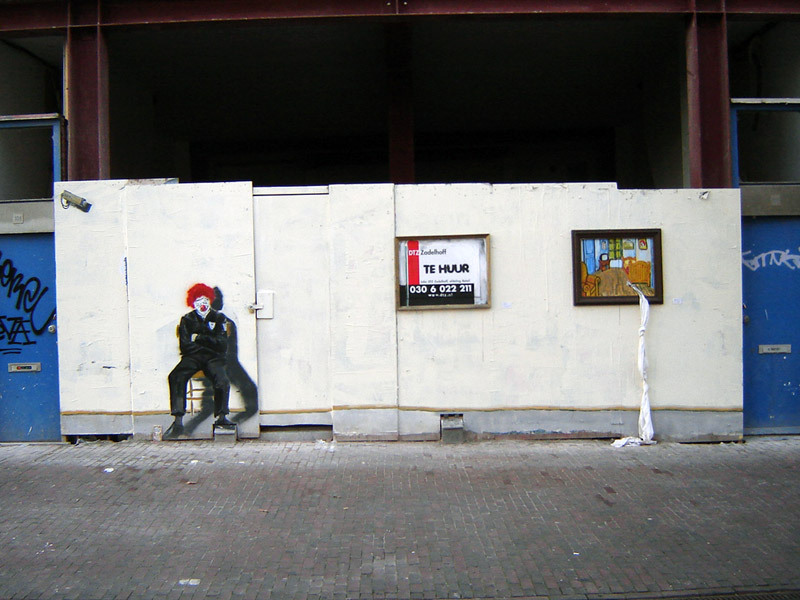 The goal of this project was to brighten up impoverished and ugly places on the streets in Amsterdam Oud-West with art. 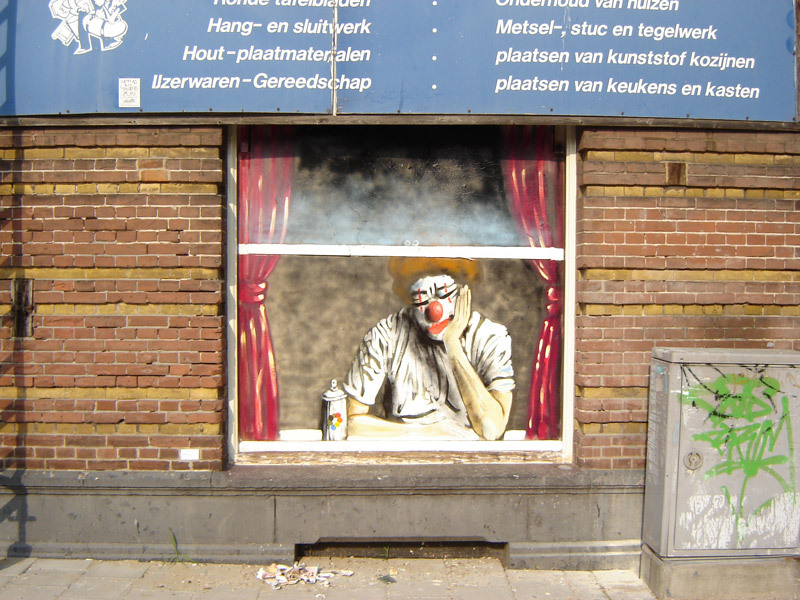 By doing this live for the public on the street, everyday people came in direct contact with the artist, art and the process of making. 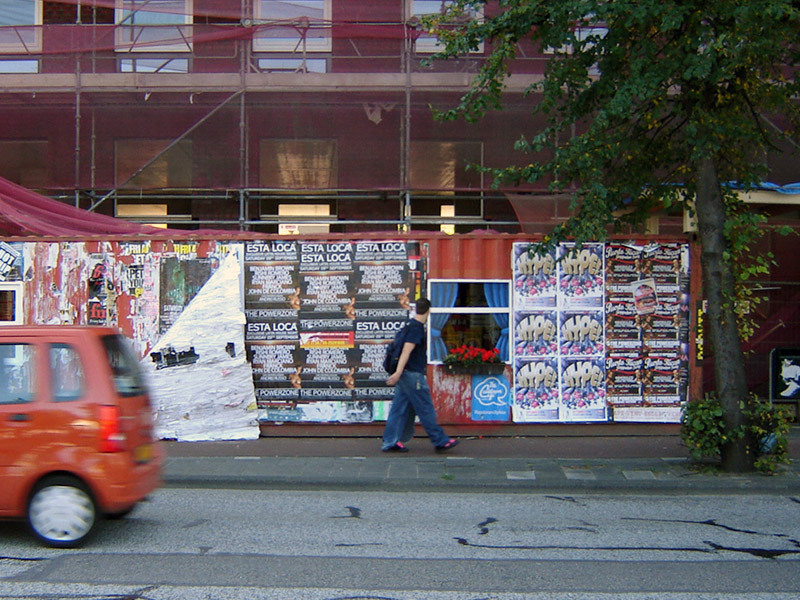 Freeth has continued this project on his own and Stanko still frequently pops up here and there, not just in Amsterdam.